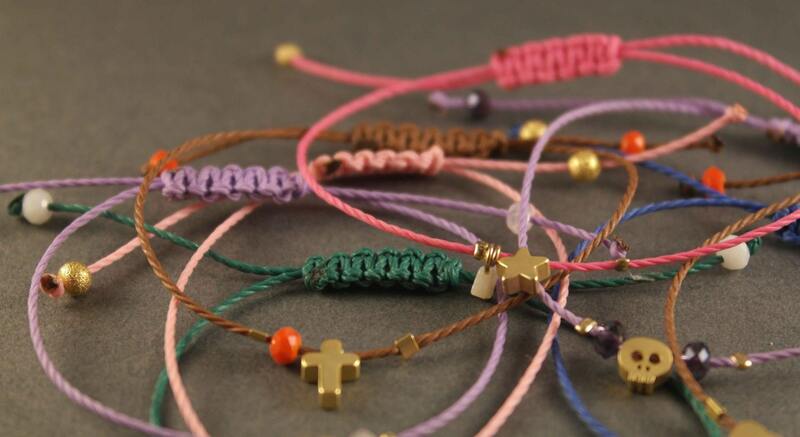 It is made with waxed in many colors to choose from. 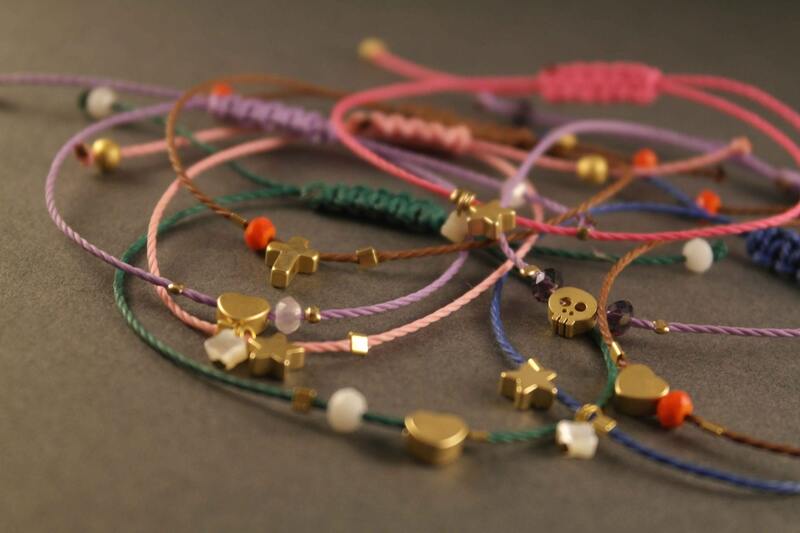 The charm bracelets are adjustable so they can fit all women wrists! 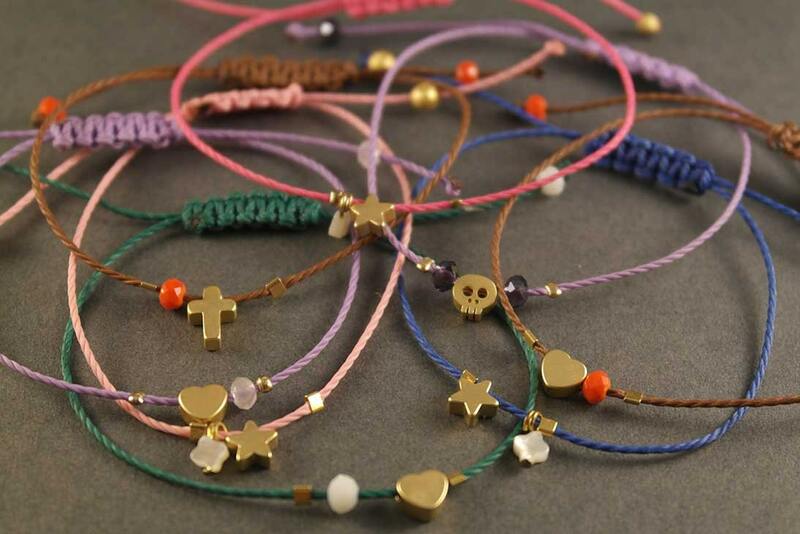 You can choose also between gold plated or silver plated charms. 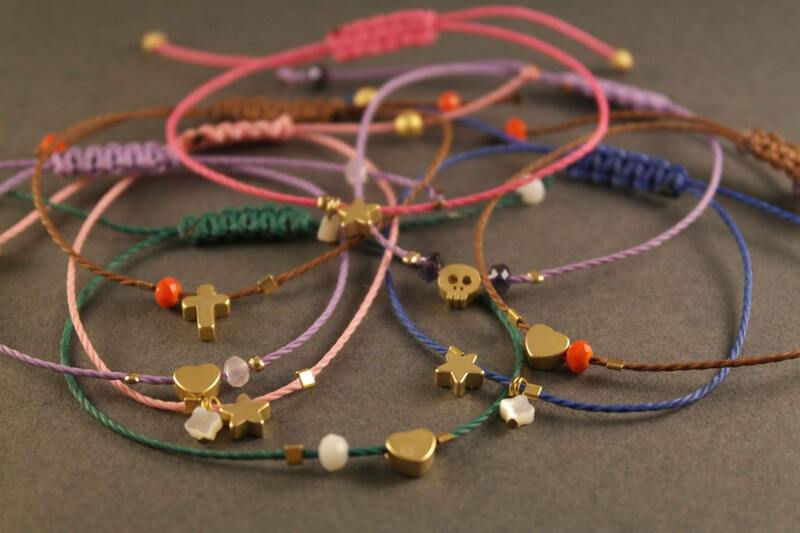 All bracelets are also decorated with tiny beads and stones. 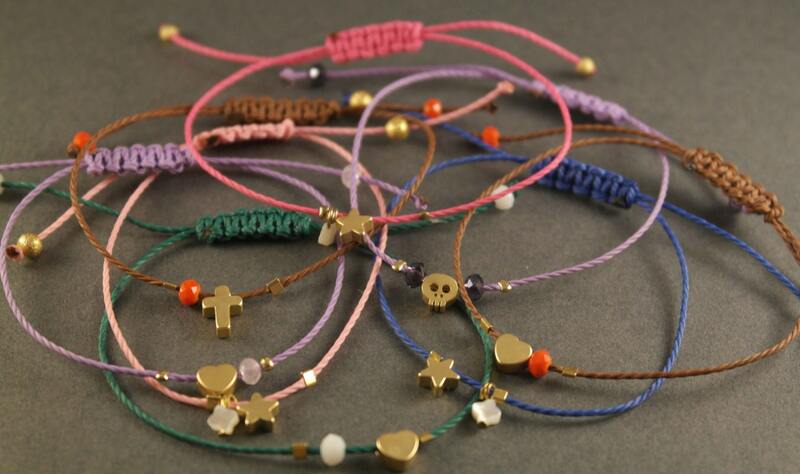 Available colors: Blue, black, brown, beige, pink, fuchsia, dark green, red, lilac, yellow.